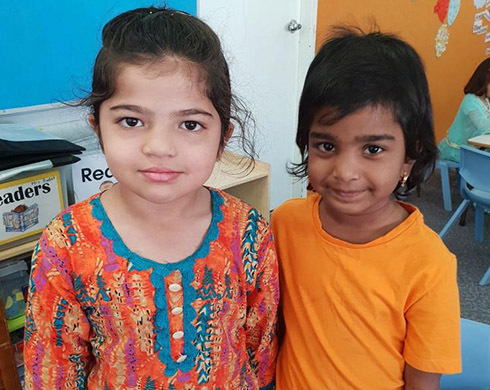 Staff and students at the multinational Alice Springs school were liveried in Harmony Day orange clothing, or outfits traditional in their country of origin. Pakistan, Vanuatu, the USA, Canada, the South Pacific Islands, New Zealand and India, were some of the nations represented. Principal Penny Weily said children from 14 nations attend the school, making it “a diverse community of inspired learners, growing together”. “All classes painted a ‘body part’ of a big ayepe-arenye (tar vine caterpillar) to acknowledge the Dreamtime of Aboriginal people,” she said. “Harmony Day awards were presented to students from each class who consistently display the qualities of being inclusive, thoughtful, and respectful toward everyone. “The school’s learner qualities We challenge Ourselves, We are Responsible, and We Learn Together, exhort us to respect others, build on each other’s ideas, and adopt new academic and social challenges to ensure we all grow stronger every day.